Shahi Palace Hotel is the premier choice for an unforgettable experience in Jaisalmer, a treasured desert city of Rajasthan. 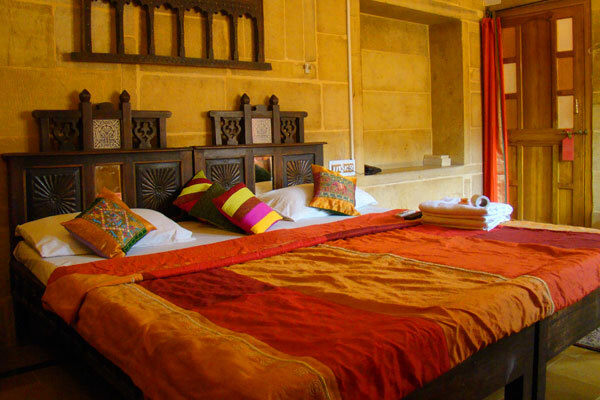 Ideally located just outside the walls of Jaisalmer"s fairy tale SONAR FORT and nestled within the quiet and charismatic streets of the old city. Shahi Palace Hotel is your first choice for an memorable visit to the Golden City of Rajasthan. 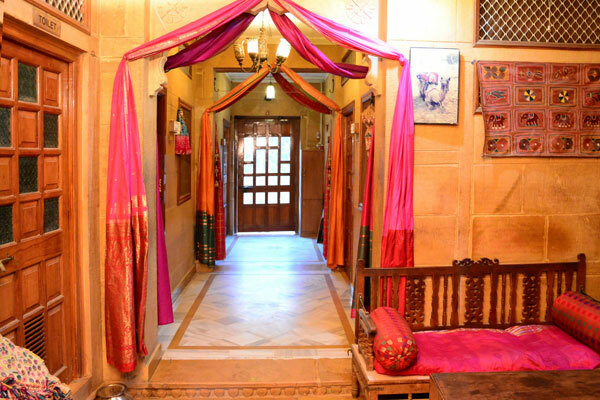 Reminiscent of a 500 years old Haveli with its beautifully carved stone doorways and windows, Shahi Palace blends old Marwari charm with the comfort of modern amenities. Sandstone walls and polished stone floors, each room has been individually decorated to recreate the romance of a bygone era. Stone carved balconies with silk pillows and bolsters provide old world charm to the award winning rooftop terrace and Air Conditioned Restaurant which offers unparalleled views of the Fort and the surrounding city. Jeep and Camel safaris to non touristic desert dunes and cultural performances night camping at Swiss Tent and other tours and packages are all available at reasonable prices .